Superman Trades Review - Is The Service Worth Your Time and Money? Transparency – Is Superman Really Super? What Type of Trader is Super Trades Best Suited For? Does the Service Offer Good Value? As a stock trader, you can make tons of money if you know what you’re doing, but you can also lose that money equally fast if you don’t have a clue about how the markets move. The stock market isn’t a safe place for inexperienced traders unless they have a seasoned coach or mentor to guide them through those scary trading waters fested with sharks that feed on newcomers. One such teacher is Paul Scolardi aka Superman. 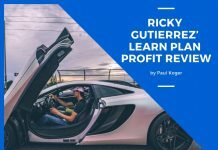 His Super Trades online education system is designed to help you master the markets even if you are an inexperienced trader or want to learn how to trade but you have a full-time job. In my Superman Trades Review, I am going to give you a complete break-down that will hopefully reveal is the service a valuable investment or a waste of your time and hard earned money. Super Trades is a stock picking service which is subscription-based and specializes in trading small-cap and momentum stocks. 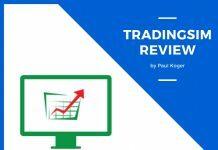 The site, Stock-trades.com is run by Paul, a certified public accountant (CPA) by trade, and now a full-time trader and educator. The site provides trading alerts through either instant messaging or their online chatroom. This day and swing trading advisory program promise its members quite a lot. Members are provided with a morning watchlist which outlines the list of stocks to monitor for setups during that trading day. 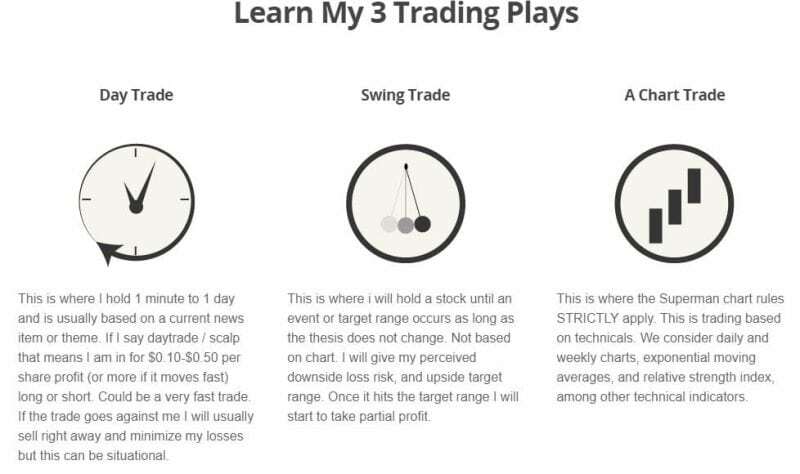 This service provides a swing trading alert and education service for traders who may not have the time to be at their computers all day, as well as those who lack trading experience and want to learn from some of the more experienced traders. The Super Trades program was designed by a well-known industry expert with decades of experience to his name, and so it’s not surprising that it caused such a huge amount of hype. But is the hype worth it? 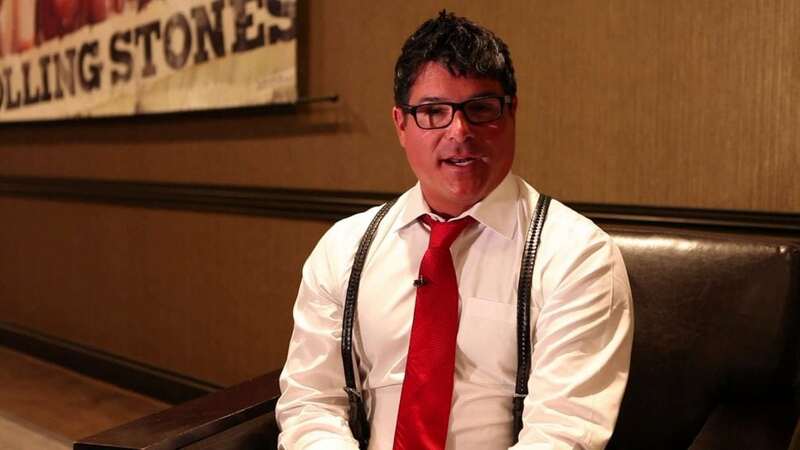 Renowned trader Paul ‘Superman’ Scolardi has made millions from trading his methods on the stock market and now shares those methods with subscribers to his online educational and advisory program, but who is this man, really? Video of Paul Scolardi going over his trading style and some pro tips at a trading conference. Paul is a trader who posesses a talent for spotting momentum stocks worth trading way before a lot of other traders can, and as such has produced some truly incredible trades – something that led to his acquiring the name “Superman” in the stock-trading industry. Although he has been well-known in the industry for some time, he only decided to create this digital program in recent years in order to share his knowledge and skills with traders and other inexperienced individuals who seek to make sense of the markets. His background as a CPA definitely comes in handy for analyzing the financials and applying financial market metrics as well as accounting analytics in order to determine stocks which are undervalued ahead of everyone else. You can tell from his in-depth research reports just how meticulous he is. I guess when you really think about it his nickname isn’t so far-fetched after all – his ‘superpower’ is his knack for spotting themes almost before they become realized! He is also an active contributor to many financial news sites, including SeekingAlpha, Bloomberg, Business Week, CNBC and many more. His latest article on Artificial Intelligence plays is super interesting, I suggest you check it out. Looking at his past record, Paul sometimes trades in obscure names, he goes both long and short, he adds to winning positions, (and sometimes to losing positions). He doesn’t really mess with penny stocks and he stays in the mainstream markets. He trades big stocks, little stocks, high volume and low volume, he uses a range of strategies and has no bias. When it comes to his trading style, he really is a tough cookie to categorize, but luckily, the trading style that this program focusses on mainly is the short-term swing trades of small-cap stocks with medium to low float. 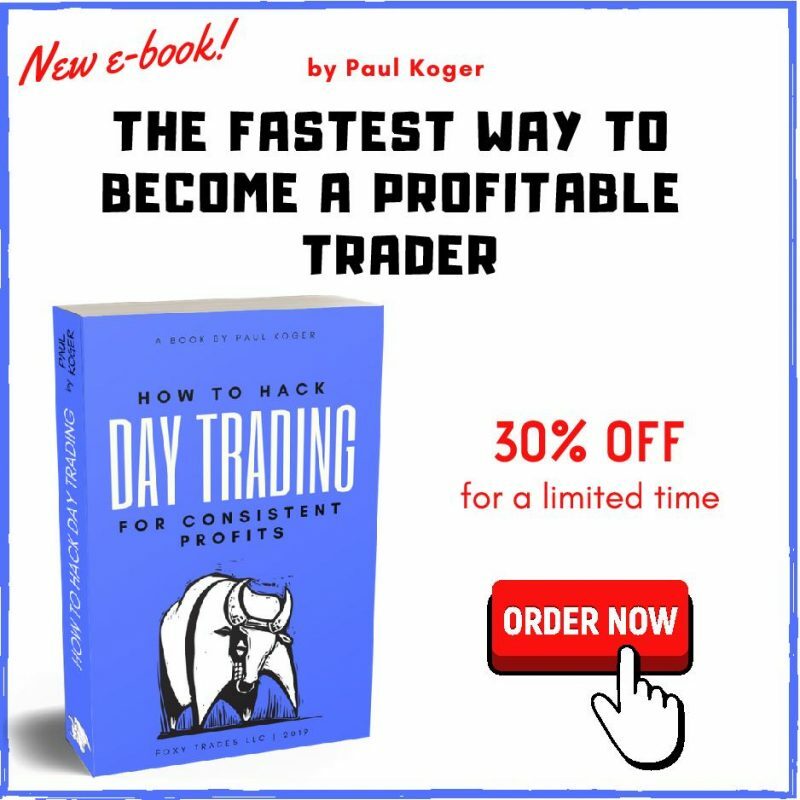 You might occasionally find intraday scalping being practiced in the chatroom, however, Paul is more focused on swing trading and administers daily trade management techniques. As most small-caps tend to be tough to short (especially thin floats) most of the alerts from this service are logically positioned to the long side. A lot of the intraday alerts mainly focus on momentum movers with a heavier volume on the day because of news, rumors, or technical catalysts. Paul Scolardi has always been very transparent when it comes to his trading results (some would say too transparent, as he has been accused of ‘being a boastful know-it-all in the past). Of course, if you’re going to give yourself the name of the most awesome superhero of all time, you need to be ready for the people who will come knocking wanting to question the validity of your claims. Although at first glance Superman’s results may seem like a lot of hot air, a closer look at his broker account information on Investimonials proves otherwise. For those of you who don’t know, Investimonials is the site that displays a broker’s trades and verifies them to check if they are above board. 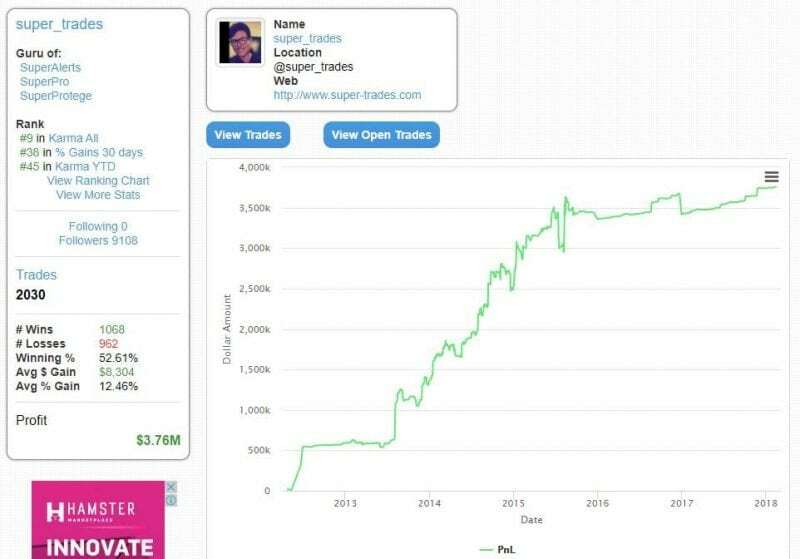 Paul Scolardi started reporting his live trades there in 2013 and the results show that he really may be as ‘super’ as he claims when it comes to making money from the stock market. A list of his biggest wins during his career. The Superman Traders membership comes with a lot of great features to help you make the most of your time spent there including a chatroom, Superman’s stock picks, educational videos and materials for beginners, and, of course, the alerts. Let’s take a look at all of the features individually to determine if they are worth the price you pay for this program. Either one of the two price plans that Superman Traders offers affords you access to the alerts as well as the morning pre-market watch-list. The watch-list provides you with Paul’s ‘pick of the day’. This is a list of all the stocks that he is watching and the ones he intends to make moves on during that trading day. Periodically, Paul markets a boot camp where he mentors students but there is no information available on the website about the price at this time. What our research has dug up is that there are actually a lot of students who went through the boot camp training with Paul as their mentor, and they have benefited immensely as a result. Paul even has one student who became a millionaire trader and now runs his own alerts service. It appears there is a lot to be gained from joining this boot camp and if you feel that you could benefit from one-on-one coaching from one of the most experienced traders in the industry, then this option could be for you! Paul moderates the chatroom with the help of a few of his proteges, many of whom have also proven themselves to be good traders according to the verified trading statements. They each have different specializations, which is great because they cater to a lot of different trading styles. This means that no matter how you like to trade, or even if you have more than one style of trading, you’re likely to find value there. Once you enter the chatroom you will likely be pleasantly surprised. 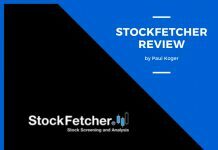 It has a simple, clean design and offers great value for the daily stock picks and plenty of advice on any aspect of your trading that you can think of. In the trading chatroom, there are usually around 100 or more participants at any particular time. Paul is extremely active in the chatroom and seems encouraging and quite eager to receive feedback. In comparison to other trading chatrooms, Paul’s room is very well managed and lively. It’s also super-focused on business. There isn’t a lot of off-topic chatter, and most of the messages are about people’s trade updates. The lack of incessant chatter may be due to the fact that there is another chatroom for ‘off-topic’ and ‘off-hours’ chats (quite smart, really). Paul is very active in that chatroom as well. Because of the many other traders who post their positions and ideas throughout the day, the overall tone of this chatroom is one of a community. In addition to Superman’s picks, you’re likely to find other good ideas in the room from the many other successful traders there. Traders with smaller accounts under the $25k PDT rule who want swing trading with pure risk capital will find this service very good. Others who may find value in this program are traders who are more seasoned and know a little more about low float stocks. 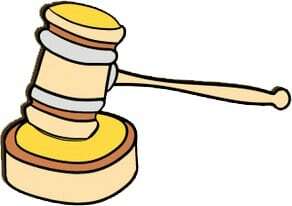 They will find this service appealing given that they can manage the positions well. This service actually does offers great value. Seasoned traders who don’t need the weekly lessons can opt for the basic ‘SuperAlerts’ membership plan which goes for $147/month. This gives you access to the alert features and the chatroom. Because this package doesn’t come with access to any of the training or videos, it may not be very well-suited to beginning traders or those who have been trading for a while, but with very little success. 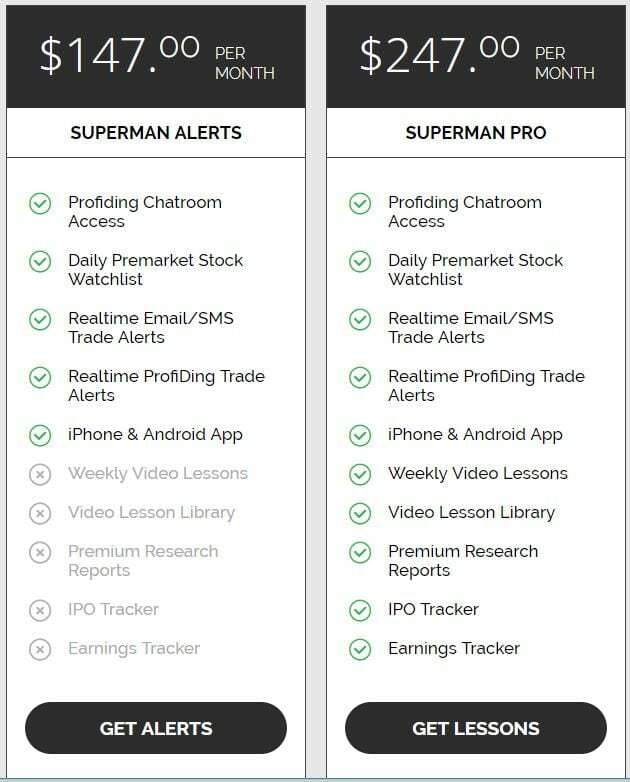 The premium ‘SuperPro’ plan, on the other hand, is ideal for traders without much trading experience and comes with alerts, stock picks, training videos from Superman, his research reports for uncovering hidden-gem stocks that have exploded to the upside in the past, as well as access to the chatroom – all for the price of $247/month. There is no upsell or constant marketing on the site (which is refreshingly different from other services of this nature). As an added bonus, subscribers to either one of Superman Trader’s online advisory membership plans get discounts for prepaid annual subscriptions. Although some might argue that this price is a little over what most other services of this nature charge, when all things have been considered, this program provides real value and, in our opinion, is worth the price you pay. As my Superman Review has shown, Paul Scolardi is the real deal (in my opinion at least). A lot of reviewers and traders have done their best to pick him apart over the years, but our research into his service has yielded only positive results. Of course, if you choose to subscribe to his service, he can’t do the work for you and if you expect to make money from trading the markets, you still have to dedicate yourself to learning and understanding what he teaches because even with the alerts, you will find it hard to make it work without a basic foundation of understanding the stock markets. If this type of trading is for you, this could very well be Superman to help you become the best trader that you can be. Previous articleIs Etoro Safe and Trustworthy?